Thank you to Scott and Bill, I wasn't planning on leaving with an SUV....but I did. Scott worked with those numbers and found a bank that approved me. After not having my own vehicle for 5 months, Scott made it happen. They were friendly, honest and patient. I was a previous customer....great customer service. Great way to start my 2017 year!!!! Megan Wolf Ive been searching for a new car for weeks, with disappointing results. 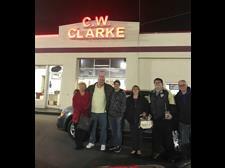 After inquiring about a vehicle from C. W. Clarke I was contacted by Chris. He did most of the leg work before I had to come to the shop, ensuring that when I did come I could drive away. He promised that he would get in the car I choose, an hour later I was signing the paperwork. They treated me amazing, kept their promises, and were very entertaining. Thank you for making this a great experience. For anyone that is having issues buying a car, I strongly suggest trying C.W. Clarke for your new ride. Sean Wright & Kim Velasquez Can't say enough how great the service is here and I should know because I spent the whole day at a dealer in Philadelphia who knew nothing about costumer service. I left those shisters and headed to CW Clarke. Got there at closing time just to check out the lot. GM Scott was still there and stayed 2 hours after closing to get us into a great car at a great rate. Awesome guys! lacey chambers ????? First I checked my credit, and it was poor. I called them and told them I had poor credit. Chris replied come in we can do something. After many attempts with banks it was some what a no go. So I leave, not 10 minutes later while driving home I get a call from them staying a bank just approve me. So I go back, I had $800 they wanted $1,500 I told them I'll be back Saturday. I called on Thursday and asked them if I could come in today they said I thought you said Saturday. I said but I got the money now. Chris replied we will start the paper work. They got my payments extremely low, I have low miles, and I have a SUV . Best car buying experience ever..Bill did a great job getting me into the right suv for me..thanks!! I will spread the word. Bill E. This was a very pleasant car buying experience. The car was as advertised and the process was quick and professional. A pleasant surprise for buying a car.  Brian Zizak Brian Zizak 2 weeks ago- I shopped for a work van for my new business for weeks and decided to finance a vehicle from C.W.Clarke Auto Centers because they gave me the most honest and reasonable deal. Thorough and professional, it was a collective effort, and everyone in the office was genuine. I'm really happy with the entire experience. 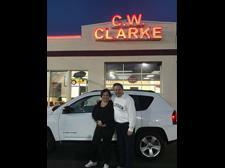 Tiffany Negron in the last week- I first went to CW CLARKE not really expecting to actually leave with a car. After visiting 4 different dealerships and getting denied because of my credit I was starting to lose hope. I needed one desperately and the sales Rep Chris was the 1st one that actually made me feel comfortable and not like I was getting scammed! He has helped me the whole step of the way even went as far to get me a low insurance premium! The financial Rep Scott completely went out of his way to get me a car loan and even got me a payment to fit my budget. Thank you CW CLARKE! You guys are awesome!! Kabria Johnson 2 weeks ago- Drove over here from philly expecting to be turned away because of my credit and Art and Scott made it happen for me. I walked away with a shiny red Dodge Caliber. Would definitely recommend CW Clarke if your looking to buy a car from some friendly and helpful people. Ashley Perri i went there to buy my first car and they were all very respectable and very nice. every one helped us from the price range we were looking to the finale sale of the car. Amanda Schanck a week ago- We had an amazing experience here! The guys were super friendly and helpful. Will Def go back in the future!!! At C.W. 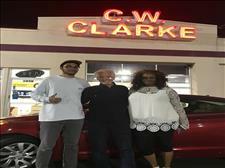 Clark Auto we are proud of the quality used cars we sell and our dedication to serve the needs of our customers. This is reflected in the amount of repeat business we receive. Whether this is your first purchase with us or one of many that you’ve had, you can count on our dedicated sales staff to make it the best buying experience possible.